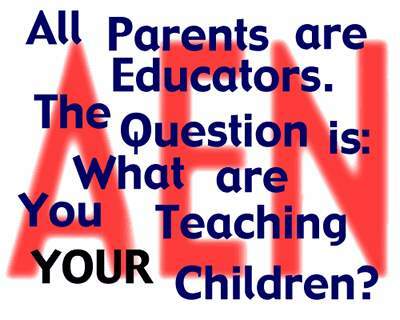 Supporting our sponsors, helps AEN to spread the word: All Parents Are Eductors. Please consider supporting our partners, affiliates and sponsors. If you don't see the Related Items Links in this space, please upgrade your browser to version 5+ or newer. The Alternative Educators' Network has opened a new web site for parents interested in learning more about alternative education issues: www.FREducation.org. FREducation.org features an exclusive advice column called Ask FREd, where parents can ask questions related to alternative education issues and homeschooling, and receive advice and ideas from parents who want to help Hoosiers think outside the box of institutional state schooling. FREducation is Free Range Education, or learning outside the box of institutional state schooling. Branching out from homeschooling, we're managing a new discussion list for the public education marketplace's alternative to 100% government managed, compulsory schooling... Virtual Charter Schools. IndianaCharterSchoolers now has its own, easy to remember, domain address. www.IndianaCS.net. IndianaCharterSchoolers is where parents can go to network with other parents with children in public charter schools. Keep up on the news and information that the district State Schools just don't seem to tell you about. This includes legal issues brought on by the Indiana State Teachers' Association (ISTA) aimed at hampering the effectiveness of charters or shutting them down altogether. Subscribing is free. Why not find other parents who actually LIKE the education their children are receiving from their chartered public school? The IndianaCharterSchoolers e-list is managed by the same people who manage the IndianaHomeschoolers e-list for homeschoolers throughout Indiana. We are facilitating the heated discussions that will eventually help bring about the changes necessary to get virtual learning environments open to every parent who would like to take advantage of them. The Alternative Educators' Network promotes thinking differently about learning. Subscribe directly to IndianaCharterSchoolers here. The Alternative Educators' Network has been around since before the turn of the century. Founded by a homeschooling father (of one at the time -- it's now four) and full time dad. Ben Bennett founded AEN by starting and managing the discussion e-list called AltEdDiscourse, for the purpose of discussing the more political aspects of state schooling, as well as the many reasons homeschooling seems to work better than state schools. Since then, he has branched out and assisted in forming the statewide networking organization, The Indiana Home Educators' Network. His company, Bennett and Company helped to manage and coordinate IHEN's various e-lists as well as design their web site. IHEN's IndianaHomeschoolers e-list is now the largest free subscription e-list in the state, with close to 1,300 subscribers by mid 2007. Indiana Home Educators' Network's web site, IHEN.org, is the most visited Indiana based web site for parents interested in homeschooling. That was the short version. :-) The Alternative Educators' Network is hoping to build on the networking experience, to help other alternative educators, organizations and institutions build successful communities and associations. In the near future, we'll be announcing our plans. In the meantime, if you are interested in learning more, please drop us an e-mail. We'd love to know if our history, can be a part of your future. Most of what we do is communicate and inform each other via e-mail lists, or e-lists. More and more, people are relying on the Internet, and networking communities for their immediate and most reliable source of news and information. It seems we trust a community of people we don't know, but seem to know what they're talking about, over a news anchor face, telling us what the mainstream media thinks we should know. Here is a fairly current listing of what is being talked about on the various Alternative Educators' Network e-list communities. If you don't see the What's the Buzz segment in this space, please upgrade your browser to version 5+ or newer. Providing information on the wide range of alternatives to institutional state schooling. Helping parents get their children back. You can't join the Alternative Educators' Network. But you can support AEN by passing the word about us, or supporting our web sites with advertising. Write to AltEdNet for more information. An e-list for discussing and debating all kinds of alternative education issues and the politics of education. This is the Alternative Educators' Network's open discussion forum. Everyone is welcome to join and carry on intelligent discussions on the future of education and the fate of the state sponsored, compulsory Educational Industrial Complex. The Indiana Home Educators' Network is a web project, for Hoosier Homeschoolers. Ben Bennett, from Bennett and Company is Site Editor and Project Coordinator for IHEN.org. E-mail list management, communications and networking, personal County Contacts, newsletter production and design are just a few of the web services provided by PeachGrovePress/eMedia and supported by Bennett and Company and the Alternative Educators' Network. The IHEN Web Project has been Helping Hoosiers Homeschool since the turn of the century. The Alternative Educators' Network was founded by Benjamin Bennett, owner of Bennett and Company, with the purpose of helping parents who are seeking alternatives to the government run, compulsory education system we have had for over 200 years. It's simply not working, for too many reasons, and parents are tired of waiting around for someone (usually someone in government) to actually fix something. It's not going to happen. You can either stay, or choose to move on. Since its founding, AEN has been involved in many projects that promote alternatives to Government Schooling, including the coordinating of the Indiana Home Educators' Network Web Project, designing and managing IHEN.org, co-managing the IndianaHomeschoolers Networking and Discussion List, moderating AEN's own discussion list, AltEdDiscourse, and publishing the e-mail newsletter, IHEN Journal, to name a few. AEN promotes everything and everyone who thinks differently about learning. If you are interested in learning more about the Alternative Educators' Network, any of the other projects we've been working on; or if we can somehow help you or your organization, please feel free to write him at BenBennett@altednet.org. Copyright ©20002009 The Alternative Educators' Network All Rights Reserved. The Alternative Educators' Network is committed to helping all parents rediscover the confidence to educate themselves and their children as they see fit, by responsibly choosing their own educational paths. Many of the most brilliant people in the world were autodidacts, unfettered by government controlled, taxpayer funded, compulsory schooling.